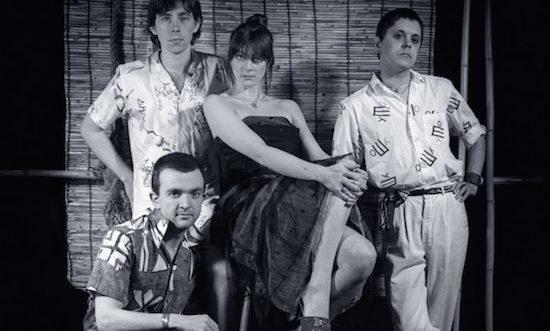 With the 40th anniversary reissue of Throbbing Gristle's debut album The Second Annual Report Of Throbbing Gristle set for release via Mute on November 3, details of a special in-store event at London's Rough Trade East have now been announced. Chris Carter and Cosey Fanni Tutti will appear at the event which takes place on November 1, with Carter set to perform using the forthcoming special edition TG-ONE Eurorack Module, which features presets newly created by the one-time member. That performance will be followed by a Q&A session with Chris and Cosey, with the evening closing on a signing session of the new reissues. The reissue of Throbbing Gristle's debut album, as well as new editions of The Taste Of TG on red vinyl and 20 Jazz Funk Greats on green vinyl, will be available to buy store. You can find more information and secure a ticket for the event here.